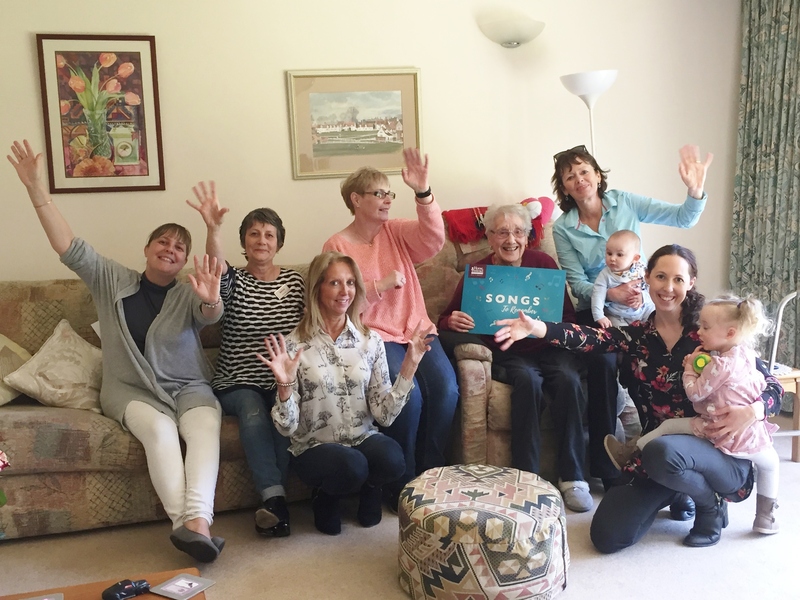 In support of Dementia Action Week 21st – 27th May 2018, organised by Alzheimer’s Society, Home Instead Senior Care has pledged to get 1,000’s of people singing through a campaign called ‘Songs to Remember’. The campaign aims to raise awareness of the therapeutic benefits of music for people living with dementia. Research has shown that memories of old songs activate very specific areas of the brain, which seem to be particularly resistant to the damaging effects of the disease. This means that people living with dementia can often recall all the words to their favourite songs from the past, but may struggle with remembering things day to day. The home care company surveyed thousands of its caregivers across the country to find out which songs they and their clients most enjoy singing together. They have collated the information and produced a song sheet of the 10 most popular songs for dementia in the UK – and the one that came out on top was the Morecambe & Wise version of Bring Me Sunshine. Home Instead is getting as many people as possible to join in and sing along. Staff and clients at their 190 offices across the country will be taking part, and will be posting pictures and videos of their efforts on social media using the hashtag #SongsToRemember. Some will see individual caregivers using the song sheet to sing with their clients, while others are holding events and inviting members of the community to come along and join in. Martin Jones, managing director at Home Instead Senior Care, said: “Our #SongsToRemember campaign is all about highlighting the benefits of music and singing for people living with dementia. “Many of our dementia-trained caregivers sing with their clients and music has helped them to find their voice through remembering the words to an old song and reigniting happy memories. This press release was distributed by ResponseSource Press Release Wire on behalf of Calvin Marketing in the following categories: Health, Leisure & Hobbies, Women's Interest & Beauty, for more information visit https://pressreleasewire.responsesource.com/about. Cost effective flexible PR and Marketing.